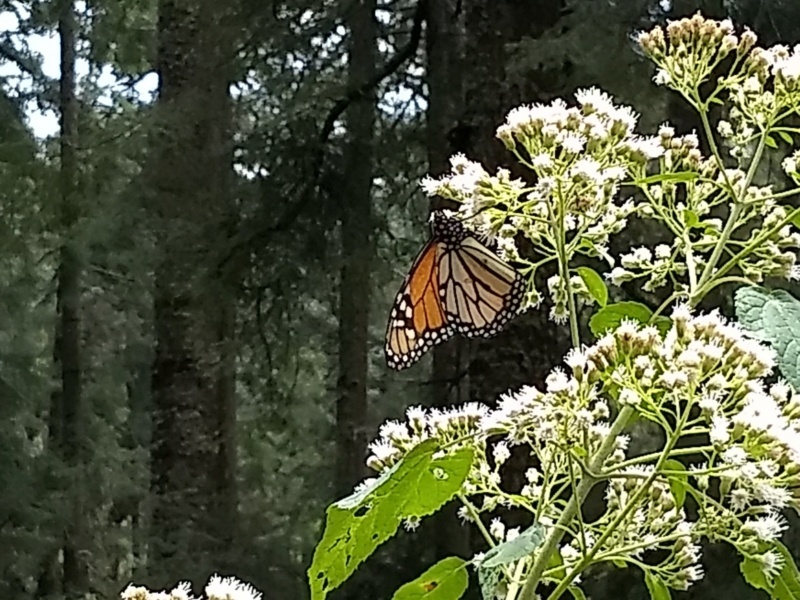 We just returned from visiting the Monarch Butterfly Sanctuary in Michoacán. 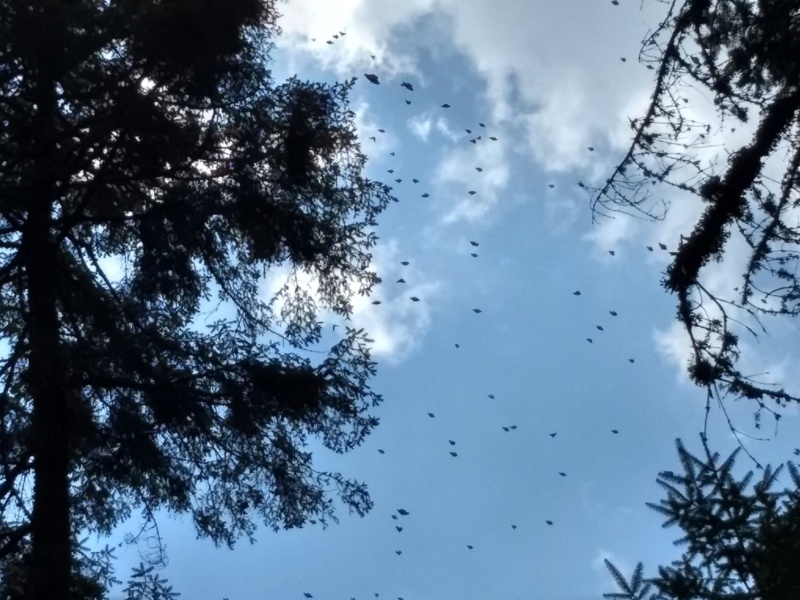 It is about a 3 hour drive from Morelia. What an incredible site to see. Everyone should do this one. The pictures do not do it justice. 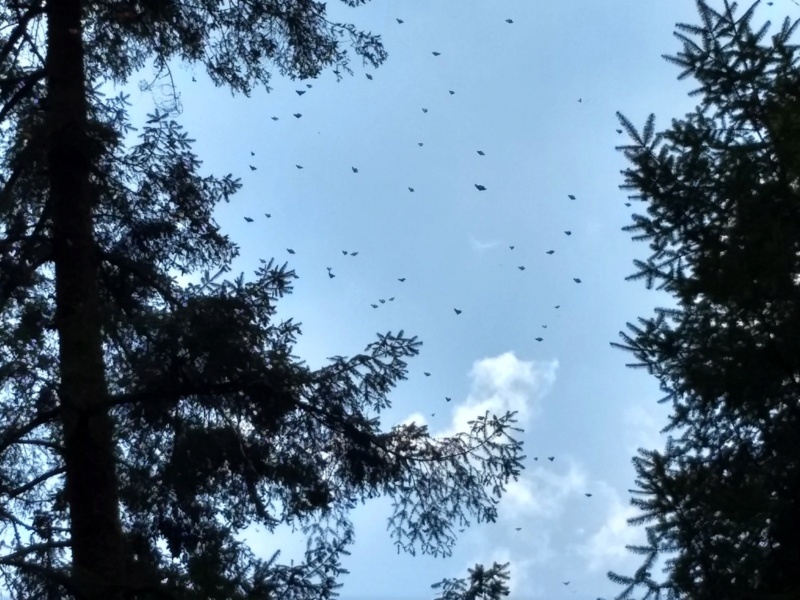 There were million's of butterflies. 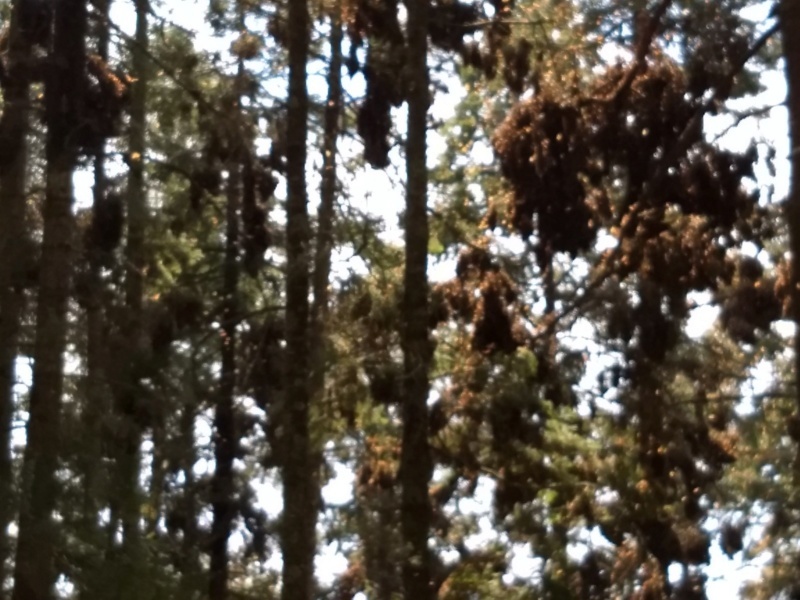 Some of the big dark clumps you see in the trees are thousands of butterflies clumped together. You have to hike up the mountain once you are there. You can rent a horse to take you up. We rented one for the way up and walked down. I've already had the pleasure and it was the most spiritual experience of my life. 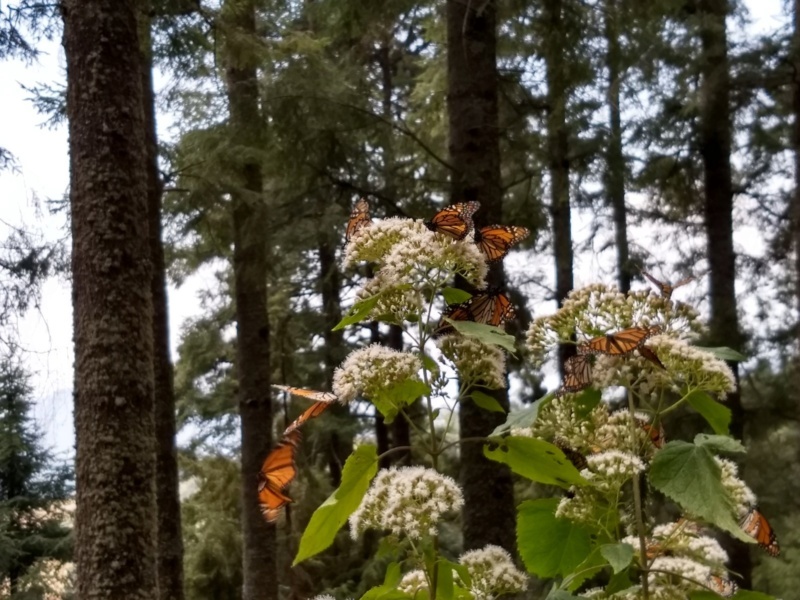 Nobody on the mountain except for the four of us and all I could hear was the sighing of the breeze in the trees and the sound of a billion butterfly wings. 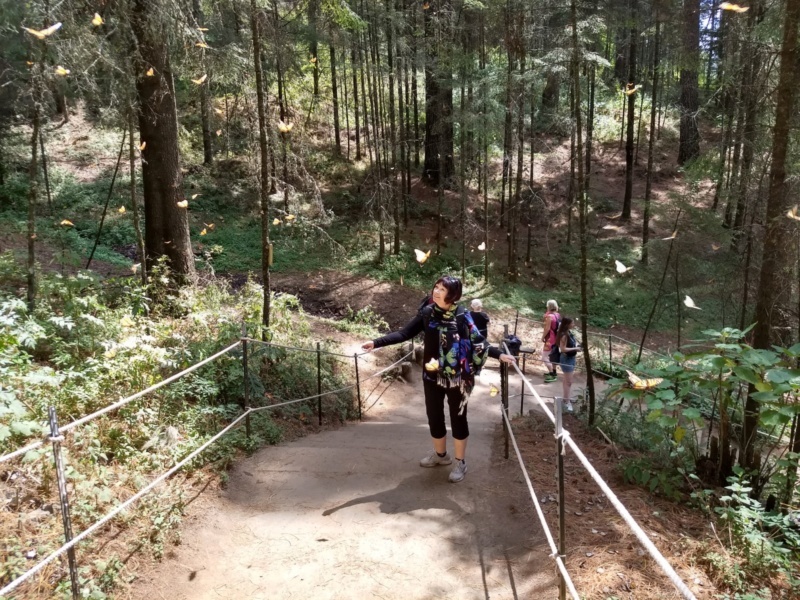 The butterflies were all over me but not the others. Now you know where my avatar came from... that's my hand. What time of the year was it? 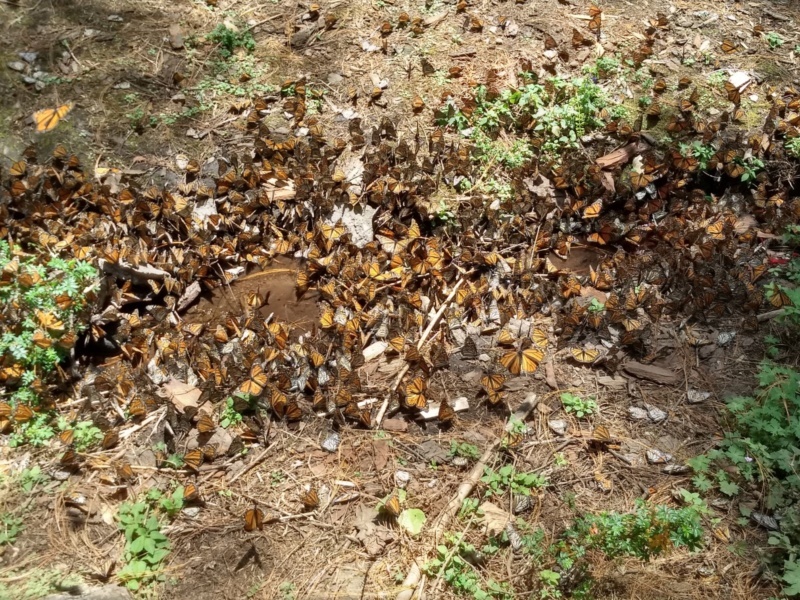 We went and had a horrible experience, the place was packed with people, we walked up and it would have been wonderful but the crowd was awful...People were handling the butterflies and stepped on them, it was just awful. I assume you are asking me... we went in the middle of February in '97 and in the middle of the week. We drove ourselves there from San Miguel the day before. 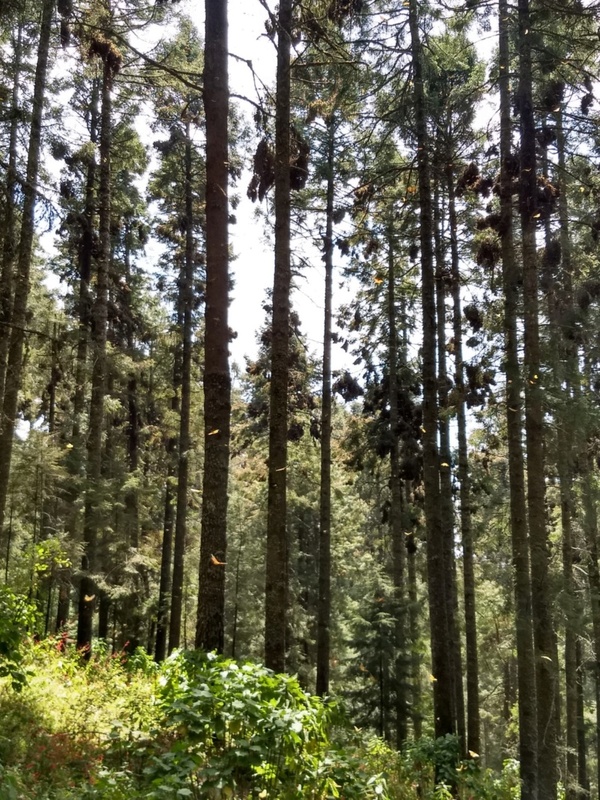 It was COLD and we were on the mountain at 9 am and had to wait for the sun to hit the tops of the trees before the butterflies started to stir. The top layer would start to flex their wings and when they were warm enough, they would take off. Then the next layer would start to stretch. 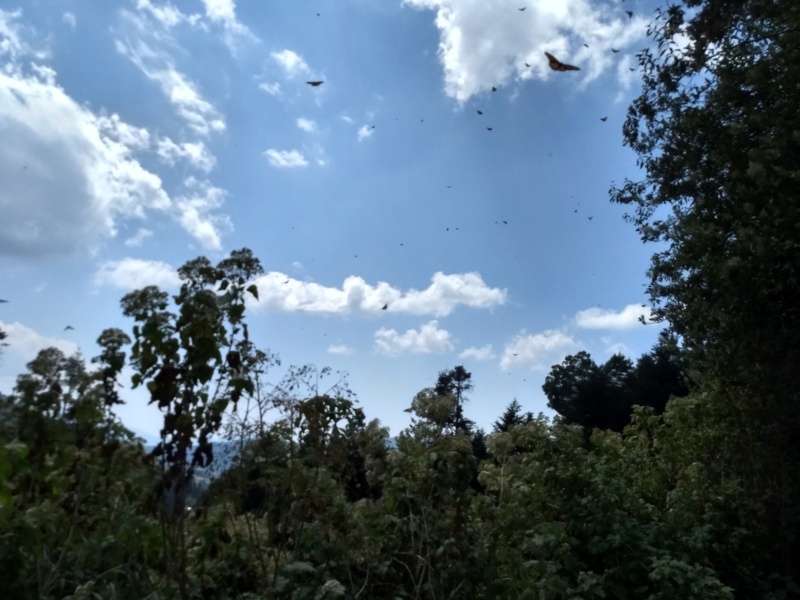 As all the layers of butterflies took to the air, the tree limb would gradually return to its original position having been weighted down by all the butterflies. Magical. we just got back from there, last week of February. Incredible! 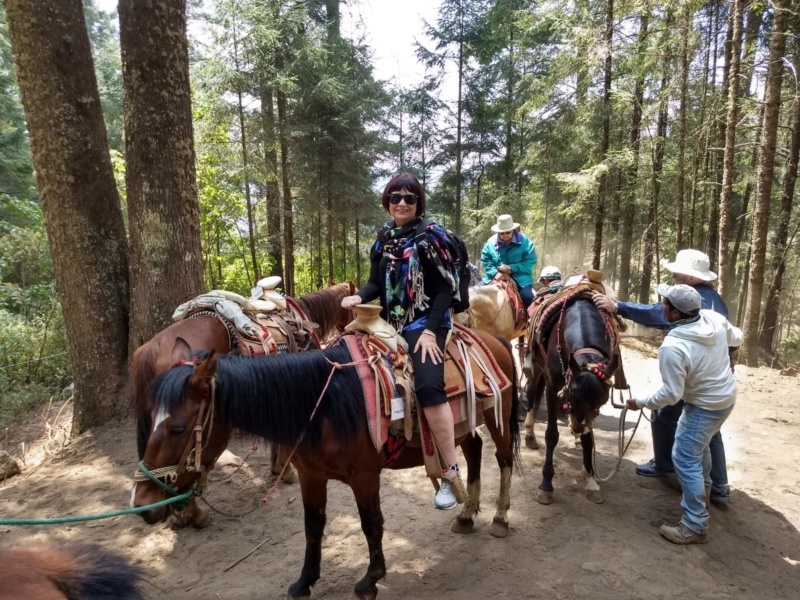 We stayed at the JM Butterfly B&B and rode horses up to Cerro Pelon.